1. 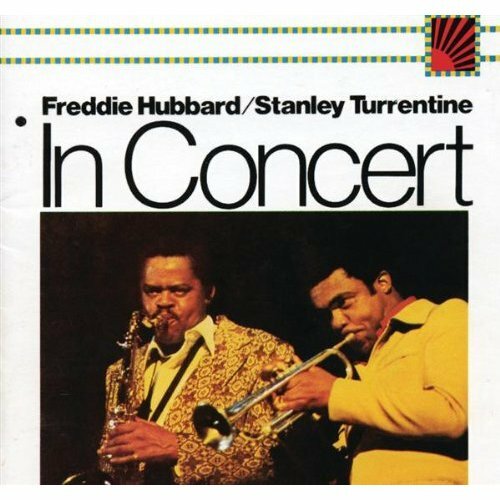 3 versions here on Deezer, with Freddie Hubdard and Stanley Turrentine from the LPs: In Concert (Live Chicago Opera House & Live Ford auditorium) and Born to be Blue. In Concert: Cette réédition sortie en Compact Disc chez CBS/Epic regroupe en un seul enregistrement les volumes 1 & 2 sortis séparément sur vinyl en 1974. Enregistrements, captés live au “Chicago Opera House” et au “Détroit Ford Auditorium”. Si les musiciens sont excellents, les improvisations étourdissantes, la prise de son laisse un peu à désirer. La trompette d’Hubbard et le saxophone de Turrentine sont en retrait par rapport au piano électrique et à la batterie. Quand à Ron Carter sa sonorité est légèrement confuse par moment. Malgré cela la réunion de tous ces talents donne un cocktail explosif, deux interprétations magistrales de “Gibraltar” et un Hancock, aux claviers, pas loin de voler la vedette au duo tout au long du concert. Born To Be Blue, recorded at Ocean Way Recording Studio, Hollywood, California on December 14, 1981. (Digitally remastered by Phil De Lancie, 1992, Fantasy Studios, Berkeley, California). Hubbard is possessed here of one of the purest gifts and hard-work ethics in contemporary jazz, and both are on display here. This Pablo recording was originally released in 1982 then digitally re-mastered and re-released in ’92. Hubbard and his trumpet are back to exploring the roots of his creative genius here after an extended venture into the more commercial soul-funk crossover market. Joining Hubbard is Harold Land (tenor saxophone), frequent Hubbard collaborator Billy Childs (piano), Larry Klein (bass), Steve Houghton (drums), and Buck Clark (percussion). The sextet immediately settles into a special zone on Hubbard’s composition “Gibralter,” working a cool Latin groove for all it’s worth. Hubbard has often been linked in the lineage of jazz trumpeting to the late, great Clifford Brown. That connection becomes beautifully apparent on Brown’s “Joy Spring,” as Hubbard’s soloing combines reverence with his own unique sonic curiosity. BORN TO BE BLUE is Hubbard truly at home. 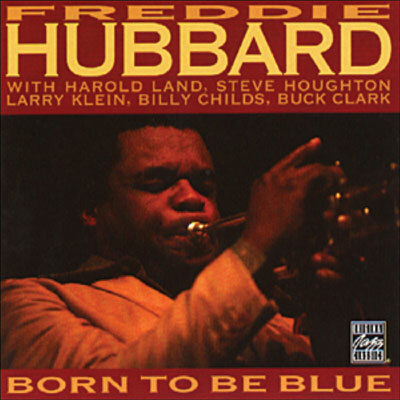 Personnel: Freddie Hubbard (trumpet); Harold Land (tenor saxophone); Billy Childs (keyboards); Larry Klein (bass); Steve Houghton (drums); Buck Clark (percussion). 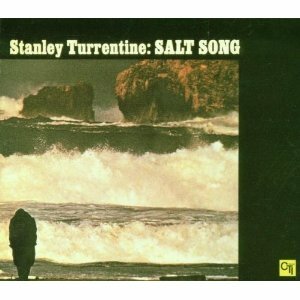 This album on Sony is a reissue of a CTI Album from 1971, there’s a nice versatile mix of rhythms here: Gibraltar shifts between latin and swing, latin (Salt Song and Vera Cruz), ballad, neo-gospel (I Told Jesus), urban blues (Storm).